I can not believe we are already in June, May completely disappeared for me! I found my May favourites really difficult to pick, but I think that is because of how fast I felt the month went past. I have managed to pick a few for you though. 1. Skin Doctors Ingrown Go - This was recommended to me by a close friend of mine who works in a local salon in Basingstoke - Eloquin Health & Beauty. I was having some waxing done and really suffering with ingrown hairs. All you do is apply it to a cotton wool pad and then wipe over the problem area. I started off using this twice a day and within two days I really notices a difference, there wasn't any red, sore spots anymore and even hairs which has started to become ingrown weren't anymore! I still use this even if I am not having waxing done and using it once a day after a nice hot bath has been working wonders. I brought this directly from my friend but you can buy it from Feel Unique for £10.95. 2. Primark Shorts - I know the weather is extremely confused right now, but when we had that little tiny heat wave, I was dying for some shorts which weren't what I had left from last year went I was 8 months pregnant! So I popped in to my local Primark Shop and found these shorts, they are kind of like jeans but a lot softer and stretcher. They had them in loads of different colours and I have to admit, I ended up buying them in Light Denim, Green, and Peach! They cost me £5.99 each, I have found them so comfortable and they all go with most things. I would be living in these right now if the weather decided to put its hat back on, Sun has got his hat on, hip hip hip hooray, just incase you didn't know what I was chatting about! hehe! 3. 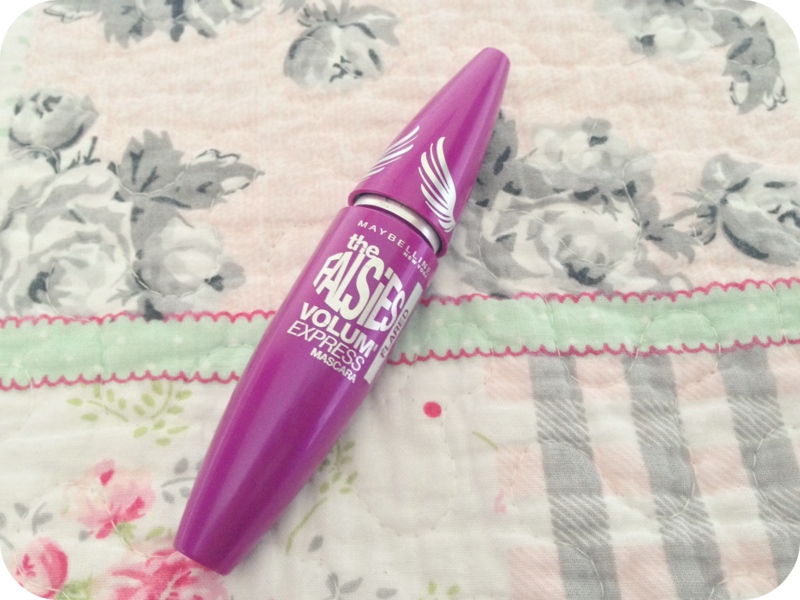 Maybelline Falsies Mascara Flared Black - I have to jump on the band wagon with this mascara, since I brought it, I have seen so many reviews online and from other bloggers about how much they love it. It is so good, it covers all your lashes so easily and gives you a really stunning look. I normally find my mascara starts to go all bitty and leaves little black crumbs as the day goes on but this one stays put all day until I remove it myself. You can pick it up at all major drugstores, Superdrug, Boots, Tescos, for around £7.99. 4. 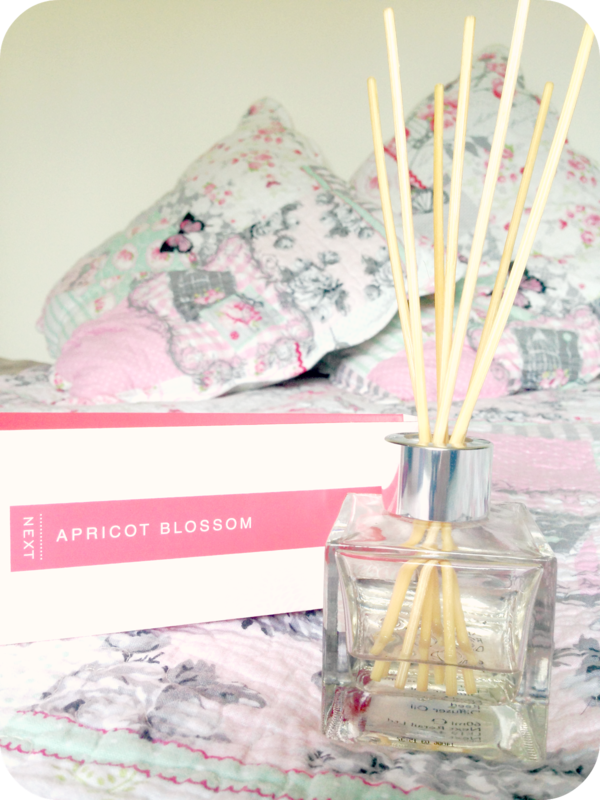 Apricot Blossom Fragranced Infuser - I found this in Next, it is Apricot Blossom with Mango and Mandarin. It smells so lovely and fruity, they had loads of different scents to choice from and they all were only £5.00. I've had it a few weeks now and it still gives off a gorgeous smell. 5. 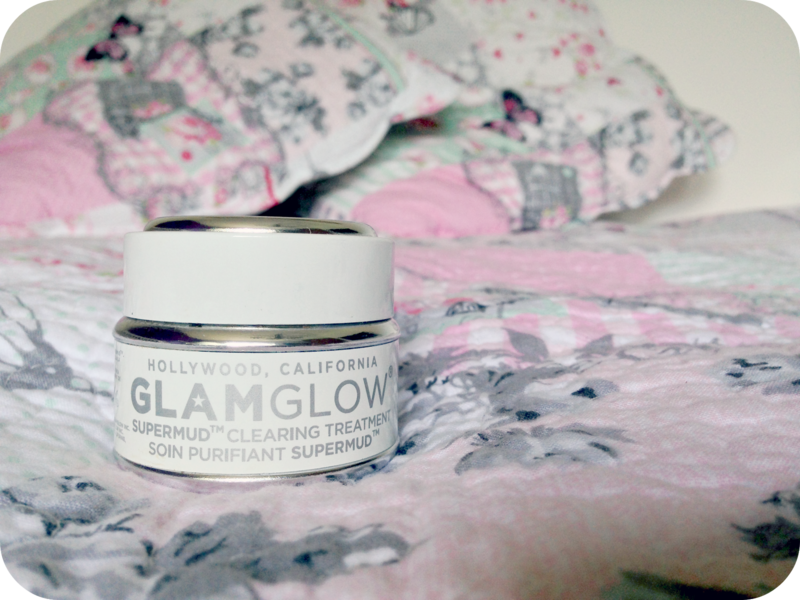 Glam Glow - Last but by no means least has to be my pot of Glam Glow, I know have recently reviewed this but I love it! It so good! I found it on Zest Beauty for £33.95, which is a great price. It is so worth it! 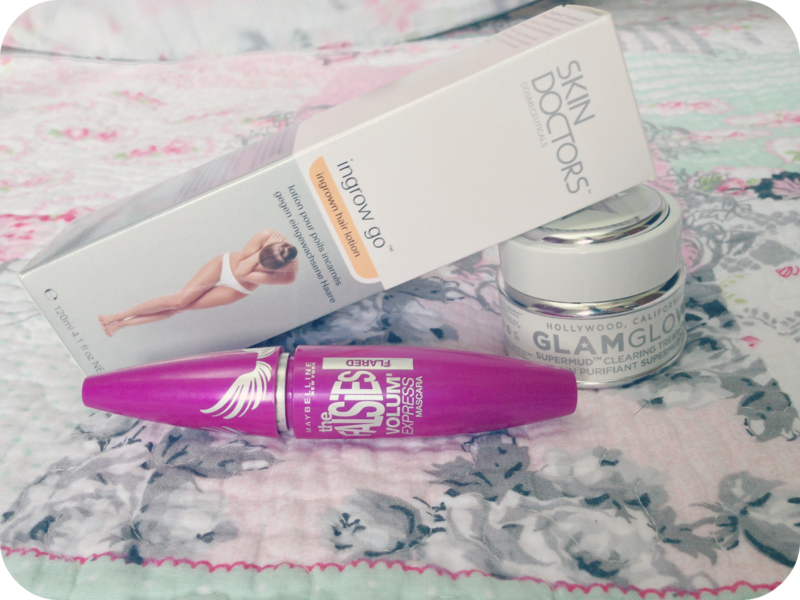 These are my May Favourites, do you have any? Could you suggest any of your own must buys for this month for me to try out? Thank you! :) I love getting comments about my posts. Ingrown go is super, and it starts working so quickly! oh no! Where are you? If yes, then follow my blog there and I'll follow you back! Great post! Really want to try the Glam Glow! I have heard a lot aboutr it recently!